On friday, 27. June 2018, I took the opportunity and photographed a lunar eclipse (red moon) for the first time in my life. The occasion was not least the longest lunar eclipse in this century and Mars, Saturn, Jupiter and the ISS were also visible in the night sky.The weather also played perfectly well with nearly 30 degrees, so we set off to a nearby hill, the Heinrich-Hildebrand-Höhe with the Tiger and Turtle – Magic Mountain landmark. There, a good 100-200 people gathered to watch the spectacle of the red moon. Unfortunately, I could not realize the idea that I had this evening – we waited a long time until the moon finally became visible and because it was very crowded on the hill, I did not want to give up my good photo position. 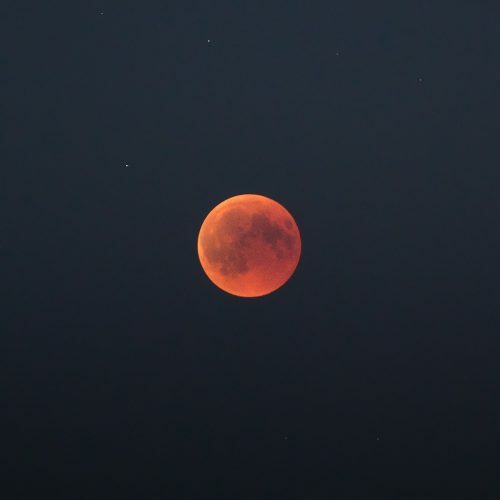 But even though it was the longest lunar eclipse of the century, the next red moon will be visible next year. 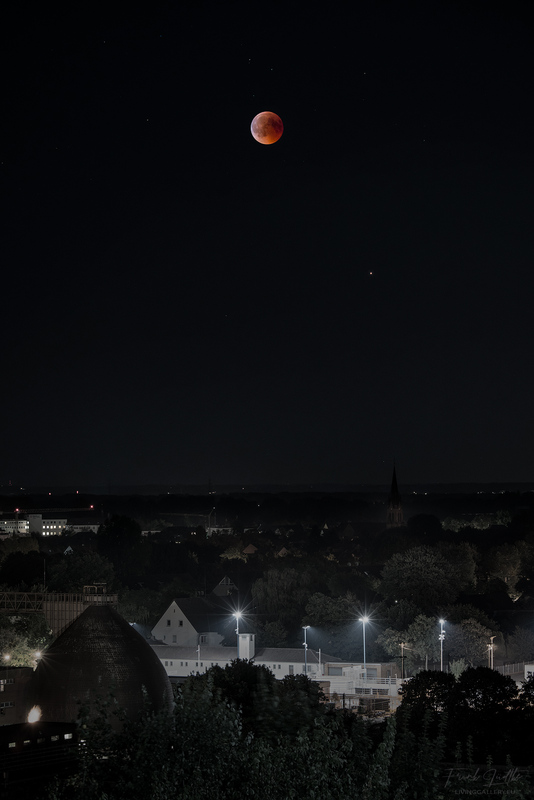 Red moon over the city of Duisburg. The small point on the right below the moon is Mars. 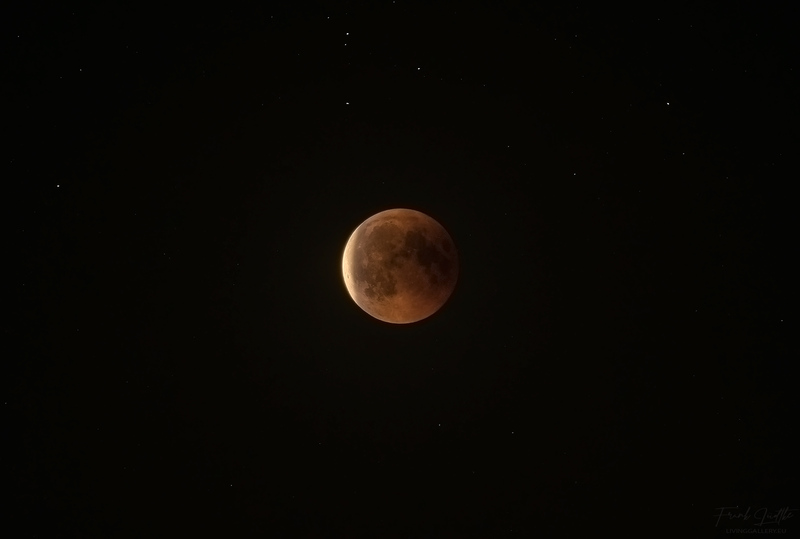 Red moon shortly after emerging from the core shadow of the earth. Multiple exposure to capture the large dynamic range at this moment.